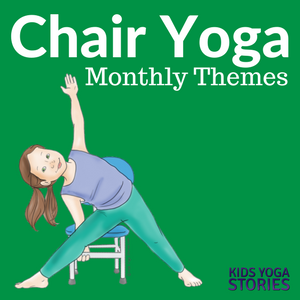 Welcome back to our chair yoga poses series! 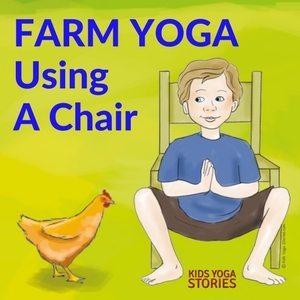 This month’s theme features farm yoga poses! 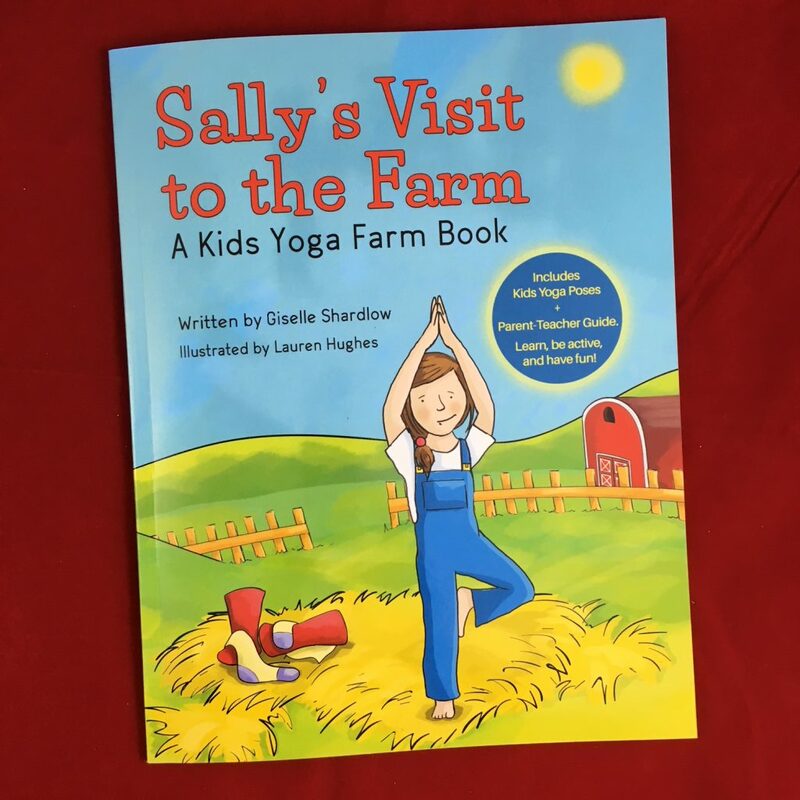 Begin your pretend visit to the farm with Sally’s Visit to the Farm (coming soon), a yoga book about a young girl and her friend visiting a farm. Imagine all the things you’ll see and do on the farm. Engage the children’s five senses as they bring the farm to life with their minds and bodies. Clear the space, grab a chair, practice barefoot, and unleash your imagination! Come to standing next to your chair. 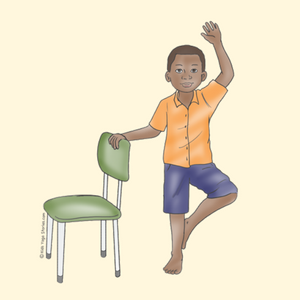 Holding on to the chair with one hand, shift your weight and balance on one leg. Bend the knee of the leg you are not standing on, place the sole of your foot on the opposite inner thigh or calf, and balance. Pretend to be sunflowers. Switch sides and repeat the steps. 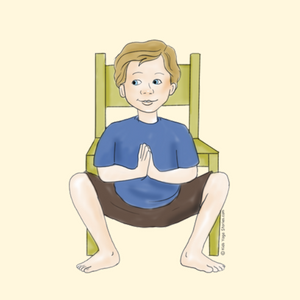 Come down to a squat in front of your chair with your knees apart and your arms between your knees. Pretend to be chickens. Come to standing just in front of your chair, facing the chair. Place your hands flat on the front of the chair and slowly step back so that your arms are stretched out straight in front of you. Straighten your spine, ensure your legs are hip-width distance apart, and look down between your legs. Pretend to be ponies. Sit at the front of your chair, with your feet flat on the ground. Place your palms on your knees and take a deep breath to neutralize your spine. Then look up slightly, arch your back, and open your chest. Pretend to be cows. From a sitting position with your feet flat on the ground, round your back and tuck your chin into your chest, stretching your back. Pretend to be sheep. Take a trip to the farm with Sally and Sam! Practice your animal yoga poses with Sally and Sam as they visit the farm. You will feed chickens, groom a pony, and milk a cow. 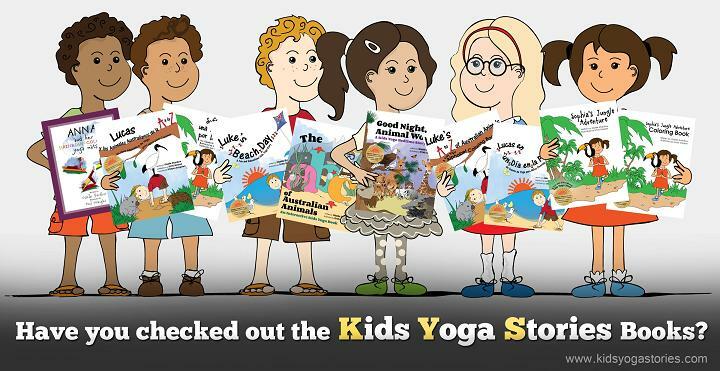 This farm yoga book includes a list of 12 kids yoga poses and a parent-teacher guide. Ages 4+. Purchase Sally’s Visit to the Farm here.